Updated 5/22/18: In County Line Holdings, LLC v McClanahan (May 2, 2018, B2778790) 2018 Cal App Lexis 392, the court held that a creditor could enforce a previously recorded judgment lien on a deceased debtor’s property more than 1 year after the debtor’s death. So you have a money judgment, but the debtor dies before you can collect. Never mind. You still have a judgment lien on the debtor’s estate. Right? Maybe not. A recent case illustrates the problem. In Torjesen v Mansdorf (2016) 1 CA5th 111, Creditor obtained a $2 million judgment against Decedent. Creditor obtained a writ of execution on real property in Decedent’s revocable trust, but that writ misspelled the name of the trust as Mansford (rather than Mansdorf). A new writ of execution was issued after Decedent’s death. Claimant filed a third-party claim of ownership but didn’t follow up. The trial court granted Creditor’s petition to invalidate the claim. Two years later, Claimant moved to set aside the judgment. No one told the trial court about Decedent’s death. Here’s the problem: Following the death of a judgment debtor, a judgment can’t be enforced against the debtor’s property under a writ of execution and the judgment creditor must proceed under the Probate Code. CCP §686.020; Prob C §§9300, 19300. Whoa. Come again? Actions based on a liability of a decedent must be commenced within one year after the decedent’s death. CCP §366.2. No, you don’t get out of the 1-year limitations period because you had a money judgment. See Dawes v Rich (1997) 60 CA4th 25, 27 (levies of execution were actions within meaning of statute). Creditor needed to make a claim or bring an action against Decedent’s estate within a year after the date of death. Because there was no probate, this apparently didn’t happen. Therefore, despite the favorable result in this case, Creditor’s claim appears to be time-barred. What should have happened in this case: When no probate is opened, a judgment creditor should open a probate as “an interested person” and make a claim against the estate. This will toll the statute of limitations until the claim is denied, or deemed denied if there’s no formal response. At that point, the creditor files an action or petition against the personal representative or trustee of the decedent’s estate or trust. Collecting the debt may still be difficult if the trustee has distributed trust assets to the beneficiaries in the meantime, but that’s another story. 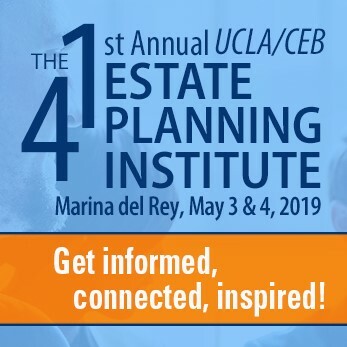 For a detailed discussion of this problem in a trust context, turn to CEB’s California Trust Administration §§10.79–10.88. Also check out CEB’s California Decedent’s Estate Practice §§29.64–29.73. Mr. Nunan raises an interesting point. Estate of Bennett (2008) 163 CA4th 1303, 1310, suggests that reducing a claim to judgment renders the 1-year statute of limitations inapplicable. Decedent died in 1992, creditors somehow renewed their judgment in 1993, and an action was filed in 2003. Bennett is dictum because the court of appeal reversed on other grounds and CCP §366.2 does not apply to decedents dying before 1993. In any event, Torjesen says otherwise. In addition to Dawes v Rich, cited above, see also Estate of Yool (2007) 151 CA4th 867 (distinguishing Prob C §850 action as not on a liability of a decedent) and DeNoce v Neff (In re Neff) (BAP 9th Cir 2014) 505 BR 255 (distinguishing between “statute of limitations” and “statute of repose”). The CLRC comment refers to any “debts” of a decedent where the statute refers to cause of action. Although not entirely free from doubt, the weight of authority supports the Torjesen view that even creditors with a money judgment must file a creditor’s claim against the decedent’s probate estate and must do so within a year when possible, and should open a probate for this purpose when necessary. That is certainly the prudent course of action. On the other hand, executors, trustees, and transferees of a decedent should raise the 1-year statute of limitations as a defense when available and trustees in particular have a fiduciary obligation to do so. We disagree with your analysis that Torjesen v. Mansdorf says anything about CCP § 366.2 or Estate of Bennett and that “the weight of authority supports the Torjesen view.” As was evident from your initial post, the Court in Torjesen did not consider, reference, or distinguish either CCP § 366.2 or Estate of Bennett. Bennett’s analysis that CCP § 366.2 is inapplicable to a claim against a decedent that has been reduced to a judgment before the decedent’s death is sound. * By its terms, CCP § 366.2 applies to “actions.” CCP § 366.2(a) provides that “If a person against whom an action may be brought on a liability of the person, whether arising in contract, tort, or otherwise, and whether accrued or not accrued, dies before the expiration of the applicable limitations period, and the cause of action survives, an action may be commenced within one year after the date of death, and the limitations period that would have been applicable does not apply.” CCP § 22 defines an “action” as “an ordinary proceeding in a court of justice by which one party prosecutes another for the declaration, enforcement, or protection of a right, the redress or prevention of a wrong, or the punishment of a public offense.” An action is distinct from a civil judgment, which has its own definition: “the final determination of the rights of the parties in an action or proceeding.” (CCP § 577.) A separate title of the Code of Civil Procedure deals with judgments (rather than actions) and how judgments expire and can be renewed. (See CCP § 683.010, et seq.) Thus, CCP § 366.2 does not apply when a final determination has been made and an action has been reduced to a judgment. While filing a creditor’s claim within a year of a judgment debtor’s death may indeed be prudent if one intends to collect on the judgment using such mechanisms as a writ of execution, this is a separate issue from whether CCP § 366.2 applies to the judgment itself. Under the authority outlined above, it is clear that CCP § 366.2 does not apply to a California civil judgment obtained before death, just as CCP § 366.2, as a California statute of limitations, does not apply to federal judgments or judgments obtained in other states. However, there is little doubt that a probate creditor’s claim procedure can bar a California judgment, and probably federal judgments as well, if a judgment lien was not obtained before death. If your view was correct, during the last 25 years since CCP § 366.2 was enacted there should have been many situations where a judgment creditor filed a lawsuit within a year of the death of the judgment debtor to preserve his existing judgment when no probate has been commenced. Yet, remarkably, there are no reported cases concerning such lawsuits, no law review articles about the need to file such lawsuits, and no discussion in the entire CEB library about how to draft a complaint to reaffirm an existing judgment because the debtor dies. Thus, we and apparently many others do not view judgments as barred by CCP § 366.2. *We also note that your criticism of Bennett on the grounds that the decedent died in 1992 is undercut by your citation to Dawes v. Rich, as Dorothy Dawes died in January 1990. Dawes interpreted CCP § 353, the predecessor to CCP § 366.2. Further, the Court in Dawes cited CCP § 21 in support of its conclusion that levies of execution and a declaratory relief action are “actions within the meaning of the statute.” This analysis follows the logic in Bennett. Torjesen does not directly address CCP §366.2, but it recognizes that judgment creditors do not have special status. They too must proceed under the Probate Code. This necessarily implicates CCP §366.2, enacted in 1992 as part of Probate Code reform. As in Dawes, the actual operative statute in Bennett was substantively identical former CCP §353(b). To that extent we agree. Dawes and Bennett cannot both be right. But the distinction between “action” and “judgment” is unlikely to decide the issue. The creditor in Dawes had a judgment against the decedent’s surviving spouse but was barred from execution on the judgment by the 1-year statute of limitations on actions. See also Bradley v Breen (1999) 73 CA4th 798 (barring cross-complaint against decedent’s estate for equitable indemnity). As for Bennett’s analysis, there is none. The Bennett dictum consists of a single sentence without any citation of authority or further explanation. Whether a judgment can be renewed after the debtor’s death is an open question. This was done in Bennett but its legality was not adjudicated in that case. The purpose of renewal is to permit execution on the judgment which is not permitted for a deceased judgment debtor under CCP §686.020, as noted in Torjesen. The absence of case law on this point suggests that judgment creditors do indeed file claims and actions and open probates as needed for this purpose, as CEB has always recommended. Assuming the machinery of collection remains otherwise intact, the Bennett dictum implies that a judgment creditor may file an appropriate claim or action against a deceased debtor’s estate, trust, heirs, distributees, or transferees indefinitely after the decedent’s death. 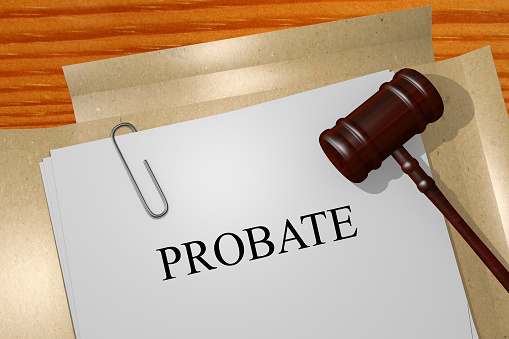 No estate would ever be finally settled unless a probate is opened or the trust claims procedure is used. This seems completely unworkable. Certainly it is not common practice.